Take your sound where you need to... with or without power available! Having an event where power is limited, or perhaps it is just for a quick setup needed in an area that is hard to run power to? No problem! Thats what these wireless battery powered speakers are for! 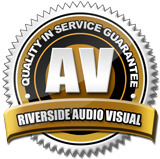 Packages available with wireless lapel microphone or handheld microphone. 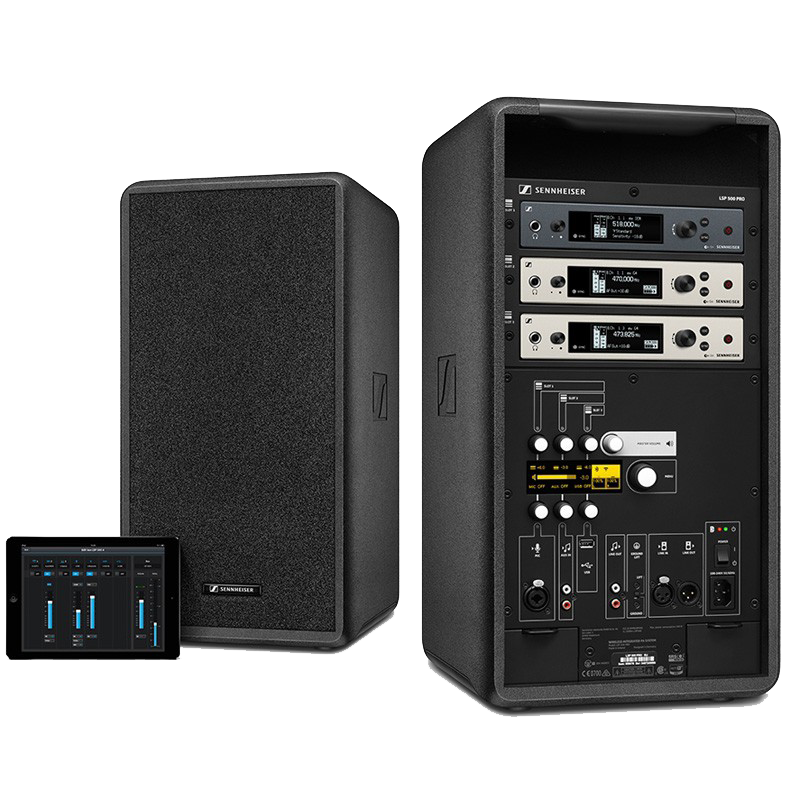 The LSP 500 wireless speaker system rental can accomodate 2 wireless microphones and bluetooth wireless music streaming. You can mix and match the microphones with either two lapels, or two handhelds, or one lapel and one handheld. These wireless PA speaker rental systems are right at home with business meetings, ground breakings, presentation, and weddings as well as many more usages. Your creativity is the limit! They also work well in tent systems with 2" support poles. Built with integrated mounting clamps, you can now easily have music and microphones in large rental tents without wires! Have a larger crowd? No problem! These speakers connect to each other wirelessly so you can run audio for crowds up to 1000 people. You can run one speaker per 150 feet if you need to send sound down a line. For example, 4 speakers can cover 600 linear feet with a 50 foor spread!